Virginia Commonwealth University Captain's Chair by Hitchcock by M.LaHart & Co.
Give your dedicated fan the gift of official sports gear from our NCAA and college Shop. The hand-crafted Virginia Commonwealth University Captain's chair is a true American original and a one-of-a-kind reminder of your VCU days. 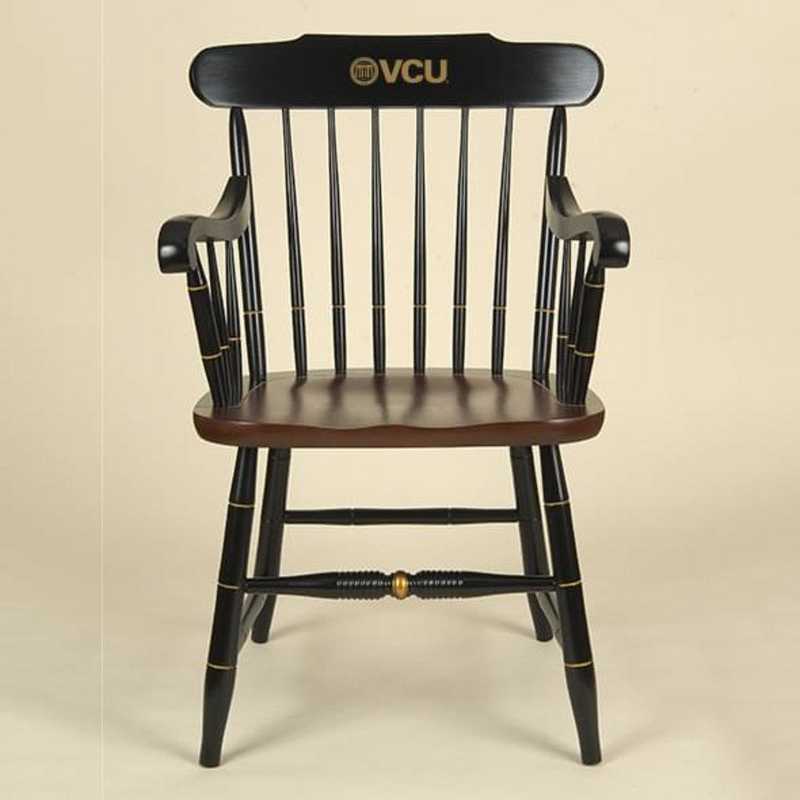 Each commemorative chair is finely detailed with the VCU Logo on solid maple hardwood., Measures 22 ¼" w x 18 ½" d x 33 ¾" high; arm height is 26", Black finish with gold accents; Riverton finish seat, Solid maple hardwood originating from the Northeastern United States, Made in America, Exclusive to M. LaHart, Arrives fully-assembled. Officially licensed by Virginia Commonwealth University.Manufacturer direct from a trusted supplier. You're reviewing:Virginia Commonwealth University Captain's Chair by Hitchcock by M.LaHart & Co.